Examine Your Life / Both Good And Bad! Take time to examine your life and make the best of what you have been blessed with in your time here on earth! Here are some encouraging scriptures about how to explore your life. 2 Corinthians 13:5 Examine yourselves to see whether you are in the faith; test yourselves. Do you not realize that Christ Jesus is in you—unless, of course, you fail the test? Examine Your Life Both Good And Bad! Grow Properly Certain Rules Must Be Observed For Good Spiritual Health. Take Time To Examine Your Life! You can also ask a close friend who knows you well, or an accountability partner to help you examine your life! Read your Bible daily. Do not be content to skim through a chapter merely to satisfy your conscience. Hide the Word of God in your heart. It comforts, guides, corrects, encourages – all we need is there. Learn the secret of prayer. Prayer is communicating. Every prayer that you pray will be answered. Sometimes that answer may be “Yes” and sometimes “No,” and sometimes it is “Wait,”but it will be answered. Rely regularly on the Holy Spirit. We know that the Holy Spirit prays for us (Romans 8), and what a comfort that should be to the weakest of us. Stand aside and let Him take over all the choices and decisions of your life. Attend church regularly. The visible church is Christ’s organization upon earth. Christians need one another, we need to gather together to worship God, and nothing can take the place of church attendance. Be a witnessing Christian. We witness in two ways: by life and by word – and the two, where possible, should go hand in hand. Let love be the ruling principle of your life. Jesus said to those who followed Him, “By this shall all men know that ye are my disciples if ye have love one to another” (John 13:35). The greatest demonstration of the fact that we are Christians is that we love one another. Be an obedient Christian. Let Christ have first place in all the choices of your life. Learn how to meet temptation. The temptation is not a sin. It is yielding that is a sin. Let Christ through the Holy Spirit do the fighting for you. Be a wholesome Christian. Our lives and appearance should commend the Gospel and make it attractive to others. Live above your circumstances. Don’t let your circumstances get you down. Learn to live graciously within them, realizing the Lord Himself is with you. Guidelines for Christian Living is excerpted from “Peace with God” by Billy Graham, published in 1953, revised and expanded in 1984. There is no way around it. 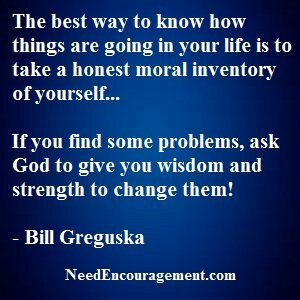 We all need to examine our lives! To live life out to the fullest, you need first to consider your life to see where you are heading? Do not be foolish by avoiding asking yourself simple questions such as, am I living the life that God intended me to live? Another question could be, am I living my life to its fullest by loving God and loving others the way God intended me to live? Taking a personal inventory of your life is like the process of weeding your garden. Why Should You Examine Your Life? How can I know what God’s timing is? I have committed _”?”_ sin. Will God forgive me? Topics to help you look at your life! 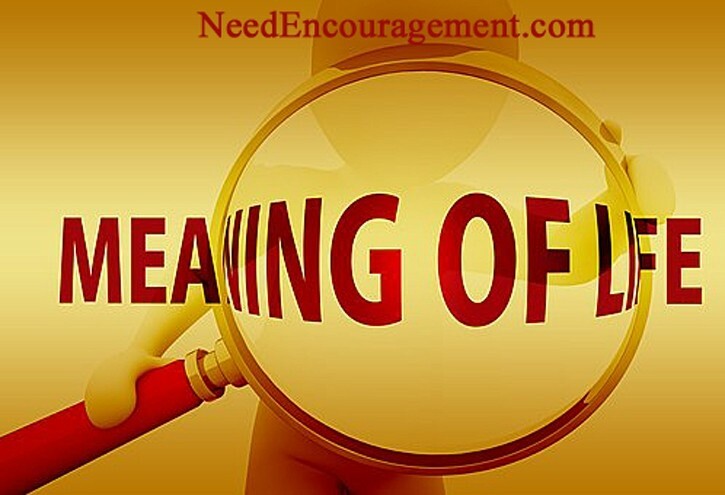 What is the danger/consequence of unconfessed sin? Are You Ready To Examine Your Life? Examine your life and then share the story of your life with others! 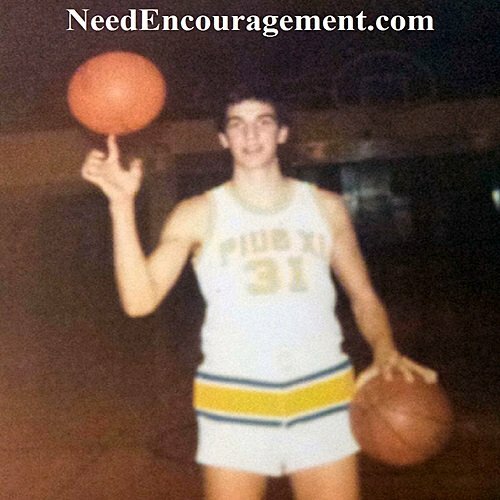 This is me, Bill Greguska when I was playing basketball for Pius XI high school. Take time to examine your life on some of the significant accomplishments you have had up until now? This list below is NOT an ego bragging list. It is a list to show that we all have skills, accomplishments, and abilities even if you do not think so. You will realize how beautiful you have been blessed. We need to look at the good we have done with God’s help and stop looking at the faults and failures in your past, but if anything learn from them and turn the page like my brother Tom told me. Born July 8, 1960, youngest of four siblings. I became a good basketball player in grade school and high school 1970-77. I got off of drugs and alcohol in 1986. Understood the importance of God in my life in 1986 and was Born Again. Quit smoking cigarettes in 1988. Worked at Elmbrook Church 1990. Had some good friends throughout life, somewhat popular. Built wheelchair ramps for Faith Indeed 1994- 2005. Got married and raised a son Chris and daughter Sherry. I took care of my 93-year-old mother the last eight years of her life beginning in 2006. 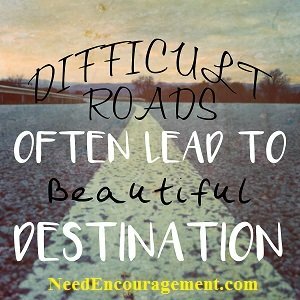 Started NeedEncouragement.com ministry in 2007. Remember, With God, You Never Are Walking Alone! We all get involved with problems in life, some are preventable, while others merely happen. I am sure what you are dealing with today whether it is big decisions that need to be made. Problems with marriage, family, friendships, depression, anxiety, addiction or whatever you might be struggling with? There are solutions to your problems. You need to search for the answers. Start now by determining in your heart that you want to live a better life. You need first to examine your life and reflect on what is the real root of your problems are and also your strengths, and ask God to help direct you. Some of you do not want anything to do with God or Jesus Christ. Some of you attend church as something to check off your good deed list like I used to do when I was growing up. But I hope most of us worship and praise God because it is in your heart because you genuinely believe. My point is that without God leading your life, you will most likely end up living in what I refer to as a type of a self-inflicted mini hell that I put myself through, all because I wanted to impress others, be accepted and fill the desires of my flesh.